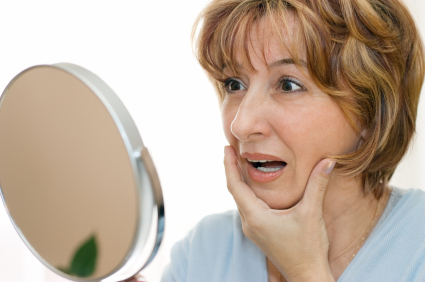 The old age spots usually start appearing after the age of 40. However, younger people can get them also, especially if they spend a lot of time in the sun. Old age spots are generally not hazardous in any way, so there is no medical reason as such to remove them. But as they can tell a person’s age, therefore many women and men like to get rid of them for cosmetic reasons to look young and attractive. 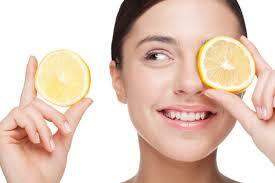 Lemon juice contains citric acid, which can help to bleach and get rid of brown spots. Moreover, it helps in maintaining soft, clear and beautiful skin. Simply apply a little fresh lemon juice directly onto the sunspots, leaving it on for 30 minutes before rinsing off with cold water. Repeat this natural remedy twice a day for about two months to see positive results. Another way is to mix in enough sugar with lemon juice to form a paste. Use it as a scrub onto your skin, particularly on the age spots, leaving it on for about 10 minutes, and then rinse it out. Apply this home remedy few times a week. If you have dry skin, add in some olive oil in this natural recipe. Buttermilk contains lactic acid that bleaches the skin in the same manner as the citric acid in lemon juice. The difference is that it works without drying out your skin and can be used directly on even very sensitive skin. 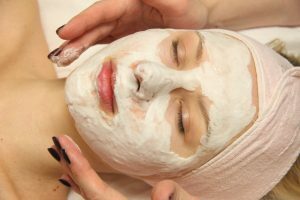 Apply a little buttermilk directly on your brown spots using a cotton ball and leave it there for about 15 to 30 minutes, before rinsing it out with water. If you have oily skin or acne, it’s a good idea to mix in some lemon juice with buttermilk. Apply this home remedy twice in a day. To make this remedy more effective, mix 4 teaspoons of buttermilk with 2 teaspoons of tomato juice, since tomato juice is known to contain bleaching properties that too works as an age spot remover. Use this remedy twice in a day. Apple cider vinegar (ACV) is a valuable ingredient in many homemade skin remedies, including for removing age spots. For added benefits, you can add in honey. Apply this mixture onto your age spots leaving it on for about 30 minutes, and then rinse it off. You can also use straight ACV, but it may sting. 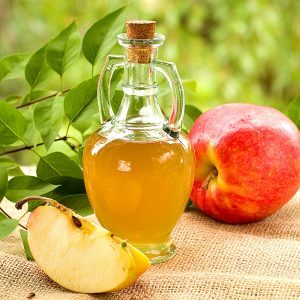 You can apply this treatment once in a day, as ACV can dry out your skin. Use this remedy regularly for 5-6 weeks to see positive results. 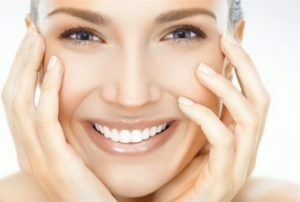 Another option is to mix 1/2 tablespoon of ACV with a couple of tablespoons of orange juice, and apply on the age spots. Wait for it to dry out completely, and then rinse it off. Repeat this process twice in a day for about 5-6 weeks to see the difference. 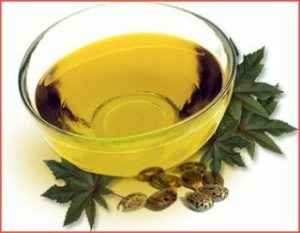 Castor Oil For Removing Age Spots: Castor oil has strong skin healing properties and thus can be used for treatment of brown spots or age spots. Use a cotton ball to apply a little castor oil directly onto the affected area. Gently massage it for a few minutes until absorbed. Let it sit on the skin for a couple of hours, and then wash it off. Apply this treatment once in morning and once at night and see the spots start fading away in six weeks. It will make your skin tone even as well. Aloe Vera For Getting Rid Of Age Spots: Aloe vera is known for its skin healing and skin regeneration properties. So it is usually used to treat various skin problems, including age spots or brown spots – especially those caused by sun exposure. Gently rub a little fresh aloe vera gel (for best results taken directly from the plant) on the age spots. Let it sit on the skin for about 30 minutes until soaked in. It is so gentle that there is no need to wash it off. However, if you feel it to be sticky, then rinse it off with cold water. Repeat this remedy twice in a day and within a month you will notice old age spots fading away. 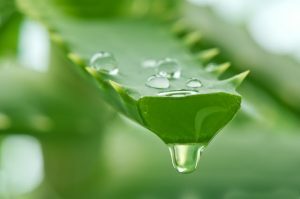 If you don’t have access to the gel from an aloe vera plant, you can opt for aloe vera juice that you can buy from health stores or market. This too will work. Now if you are 30+ don’t bother about your age just fly like a 20. Happy beauty…..